Xiaomi's flagship killer, Poco F1 will get a price cut of up to Rs 5000 between December 6 and 8. The discounts will only be available on purchases made via Xiaomi's official site Mi.com and Flipkart.com. Poco F1 was launched in August with top-of-the-line specifications at an appealing price point. Poco India had revealed on its official Twitter account that Poco F1 will receive discounts of up to Rs 5,000 between December 6 and 8 through Mi.com and Flipkart. The 6GB RAM and 64GB storage will receive a discount of Rs 2000 and the 6GB RAM and 128GB storage model will get discount of Rs 3000. The biggest Rs 5000 discount is available on 8GB RAM and 256GB storage model. Offers that you can't refuse! Huge discounts of up to â‚¹5000* on your favourite #POCOF1, the #MasterOfSpeed. Poco F1 comes with the superior Snapdragon 845 SoC and only recently it received Android 9 Pie through the MIUI 10 Global Beta ROM 8.11.15 build. It was launched at a starting price of Rs 20,999 for the 6GB RAM and 64GB storage model. There are also 128GB, and 256GB storage options and 8GB RAM options available. 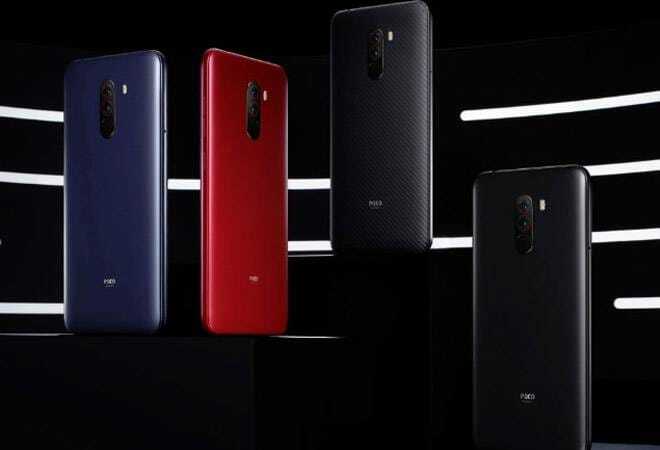 Xiaomi had also announced an Armoured Edition of the Poco F1 with 'Kevlar' back that was priced at Rs 29,999. The notched Poco F1 is a dual-SIM phone that was launched with MIUI 9.6 out-of-the-box based on Android 8.1. The handset features a 6.18-inch full-HD+ (1080x2246 pixels) display along with a 2.5D curved Gorilla Glass 3 protection. The smartphone has a dual rear camera setup along with a 12-megapixel primary sensor along with a 1.4-micron pixel size and dual-pixel autofocus and a 5-megapixel secondary sensor. At the front, there is a 20-megapixel camera along with HDR and AI Beautify features. The smartphone also has an IR light that helps in the Face Unlock feature.